Obituary – Schwab, Everett William “Bill” « Perry High School Alumni Association, Inc.
Football ’58-’60; Track ’58-’61; Lettermen’s Club ’59-’61; Football Student Manager ’60-’61. Everett William (Bill) Schwab, a lifelong resident of Perry, Oklahoma. Bill was born on June 27, 1941 In Perry, Ok. 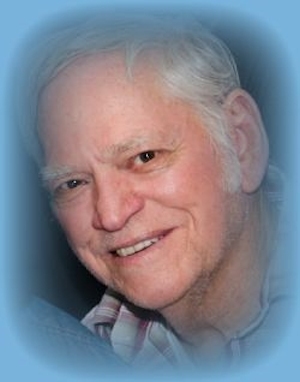 He departed this life on Saturday, Feb. 14, 2015 at Integris Hospice House in Edmond, Ok. He was 73 years old. He is the Son of Charles Schwab and Emalene (Dale) Schwab. 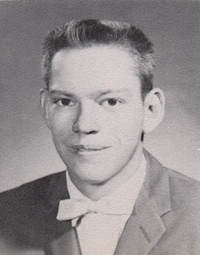 After graduating from Perry High School in 1961, Bill served his country in the Navy aboard the USS Kaskaskia. After being honorably discharged he went to work for Ditch Witch. Bill retired after 37 years and then went on to retire after 11 years from Wal-Mart in Perry. He was a man who lived life to the fullest, but his greatest love of all was his wife, Nancy of 51 years of which he married on November 9, 1963. He is survived by 3 children and was a wonderful, loving, affectionate Father. When his girls were younger he coached them in softball for many years and loved every second of it. He loved watching his Son play football, and was an avid sports fan and was a diehard Sooners fan. Although he loved his sports, his favorite thing to do in life, was to spend time with his family. That was the one thing that would put the biggest smile on his is face and in his HUGE heart. Bill is survived by his wife Nancy of the home; Daughter Robyn (Schwab) Dilley and husband Greg of Maramec, Ok; Son Kirby Schwab of Stillwater, Ok; Daughter Carma Schwab of Perry, Ok; Grand Daughter Keli (Dilley) Haxton and husband Rusty of Stillwater; Grandson Chayce Schwab of Stillwater, Ok and Grandson- Kameron Schwab of Jennings, Ok; Great Grandchilren Taylor Haxton and Hunter Dilley; Siblings, Patty and Terry Laughlin of Cedar Hill, TX, Leota Henry of Perry, Ok, Charlene Marker and Jimmy Marker of Perry, Oklahoma. He is preceded in death by his parents, grandson Christopher Dilley and numerous aunts and uncles. Services will be held at 2:00 pm, Tuesday, February 17, 2015 at the First Church of the Nazarene in Perry. The care of the family is under the direction of Brown-Dugger Funeral Home with Reverend Martin Foster officiating. Bill was loved and respected by many and will be dearly missed. Memorial contributions may be made to the Integris Hospice House in Edmond, OK care of Brown-Dugger Funeral Home, 1010 Nth 7th Perry, OK, 73077.